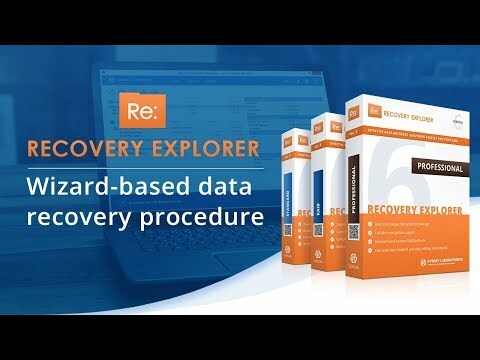 Recovery Explorer RAID is a data recovery utility that is primarily meant to handle data loss from various RAID storages, but can be used for regular recovery operations as well. The additional features of the software include an inbuilt editor for building up a user-defined configuration using RAID Definition Language, an embedded RAID Builder to for performing NAS recovery, the option of automated RAID assembly as well as context disk analysis in the hexadecimal mode. Along with a diversity of different RAID configurations common for NAS storages and supported by Recovery Explorer RAID, the program works with a wide range of NAS devices. The general recovery procedure is performed in the following steps: optional storage scan, automatic or manual storage analysis, choosing the files for recovery and the recovery process itself. The speed of performance depends greatly on both the memory capacity of the storage and the size of files to be recovered. Recovery Explorer was added by yuriyshulga in Feb 2018 and the latest update was made in Apr 2018. The list of alternatives was updated Apr 2019 There is a history of all activites on Recovery Explorer in our Activity Log. It's possible to update the information on Recovery Explorer or report it as discontinued, duplicated or spam. A light, fast and free deleted file recovery tool - can easily recover lost data from hard disk and removable drive. .
iRecover supports all major file systems in use today, such as FAT, FAT32, NTFS, and Linux file systems EXT2/3/4 and XFS. It recovers your data almost automatically!. Professional Data Recovery Software & File Undelete Tool for FAT, NTFS, exFAT Ext2 / Ext3 / Ext4 FS, UFS, HFS+ file systems. Discontinued The program is no longer updated. Last version, 2.1.36867.1, released in September 2011, can be still downloaded from the official website. Discontinued The program seems to be no longer updated. Last version, 5.0.1.19, released in August 2014, can be still downloaded from the official website. Alternatives to Recovery Explorer for Windows, Mac, Linux, Android, PortableApps.com and more. Filter by license to discover only free or Open Source alternatives. This list contains a total of 25+ apps similar to Recovery Explorer. 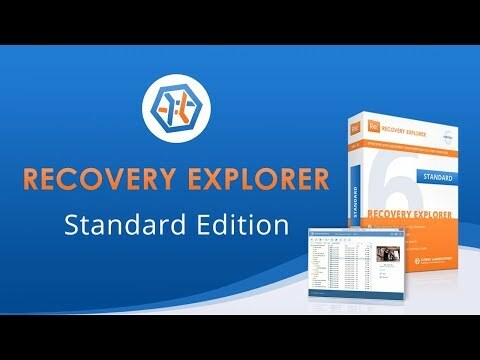 No reviews yet for Recovery Explorer, want to be first? Maybe you want to be the first to submit a comment about Recovery Explorer? Just click the button up to your right!